Adults are about ½ in. in size. Adults have hard shells with yellow and black striped markings. Larvae range in color from red to tan. Potential for 3 generations per season. Infamous among potato growers, the Colorado potato beetle devours plant foliage, drastically impacting yield and quality. Frequent scouting is required to make sure populations are under control, especially since there can be multiple generations of the pest within a single season. If left untreated, this pest can quickly defoliate a potato crop. Adults are about 1 mm. in size, barely visible to the naked eye. Part of the arachnid family, adults have eight legs, oval-shaped bodies and produce a dense webbing. Potential for 8 or more generations per seasons. With the ability to reproduce rapidly under the right conditions, untreated mite populations can quickly get out of control. Thriving in hot, dry weather, mites cause potato leaves to turn reddish brown before withering and dying. Nymphs (damaging stage) are the size of a pinhead. Nymphs are flat and green, resembling whiteflies. Potential for 4 or more generations per season. Psyllids are winged insects that readily jump from plant to plant when disturbed. Nymphs produce a toxin when feeding that causes plant yellowing and upward curling of leaves. Potato psyllids are the exclusive vector of zebra chip, a disease that causes dark stripes to appear across the white, starchy part of tubers. European corn borers burrow into plant stems when feeding, consuming vascular tissue and disrupting nutrient flow throughout the plant. Corn borers can cause lodging or even breaking of potato stems as well as yellowing of plants. Additionally, damage from corn borers creates potential entry points for potato pathogens—according to UF/IFAS, potato blackleg is more commonly found in fields heavily infested with corn borers. To combat these pests, we recommend that potato growers start with a neonicotinoid insecticide seed treatment, as neonics are among the most effective chemistries for protecting against sucking, chewing-type insects. The Insecticide Resistance Action Committee strongly recommends that growers who start with a neonic seed treatment or soil application then refrain from using a neonic for the rest of the season to prevent building resistance in pests. You should contact their local Syngenta representative to determine the best products for controlling insect pressures under the environmental conditions in their area. Pressure from these insect pests can lead to devastating yield losses and infestations that last from season to season. 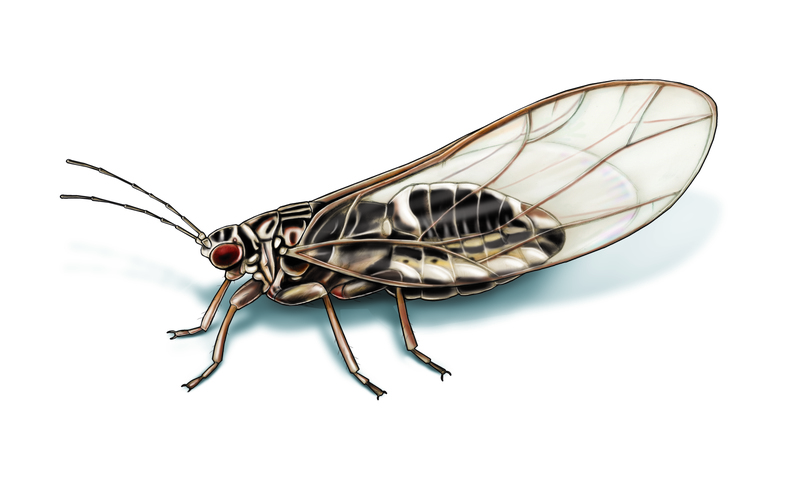 Take the Insect IQ Quiz to test your knowledge of insect pests. If you are a certified crop adviser (CCA), you’ll be eligible to receive CEUs for completing the quiz.